Without any doubt, it is exasperating to discover the new stoner/doom metal bands tend to be a clone of Electric Wizard or try to imitate the ponderous Sabbathian riffs. Considering the black metal bands of this era, yet, it is still hard to stumble on the music that is not a reproduction of a mimeo. 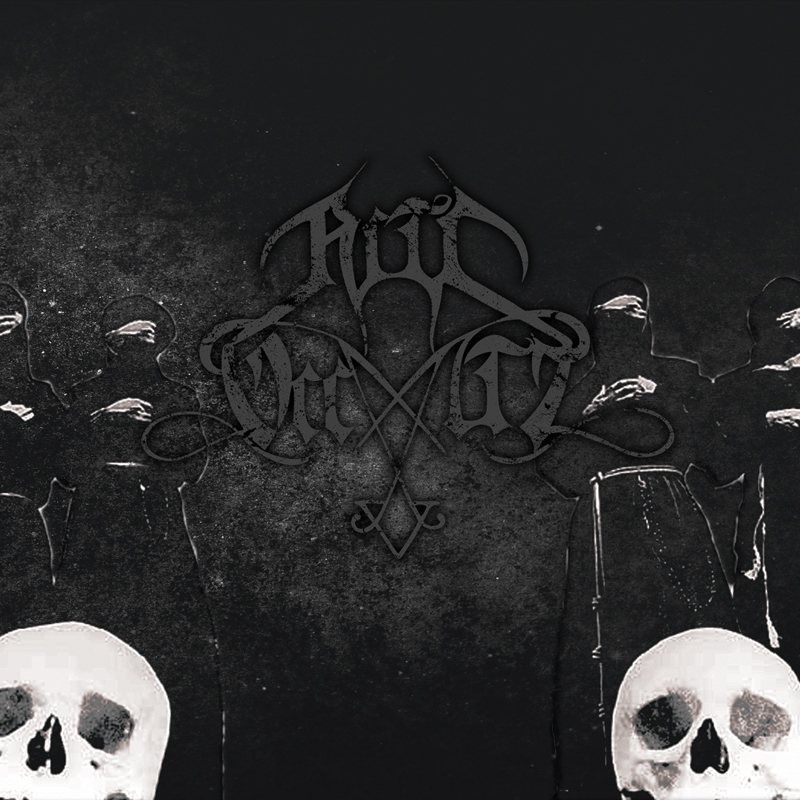 Riti Occulti is an exception, who inventively incorporates the elements of black Metal, stoner, traditional doom and psychedelic/space rock to their music and leads their hypnotic opuscule to a supreme level. Their last release Secta (Link: http://wp.me/p42NGB-dh) has already been reviewed in our webzine, and it is time to feature their self titled debut oeuvre. From beginning to end, the tracks are swaddled under the well structured thick, fuzzy and atmospheric bass riffs that try to replace the absence of guitar in this record. In case anyone is not aware, then it needs to be divulged that the band does not use any guitarist. Thick, distorted reverberate of the bass may lead the listeners to a doomish mud-spattered route filled with the existence of evil entity. Iteration of the same rhythmic bass tones evokes a slightly monotonous feeling, but obviously it cannot be considered as a big withdrawal of the release. Unexpected interruption of the hallucinatory effects of the synth can mostly be considered as a welcoming, yet a few times it sounds in an ill-defined way. But one thing is certain that the usages of synthesizer creates a bizarre and at the same time a ritualistically haunting environment that holds the control to enchant the listeners. Drum works are delivered in a quite straightforward way, and the fusion of the simplistic drums and heavy bass tones triggers a raw sound. Overall production of the album can be regarded as raw despite the tranquilizing effects of the keyboards. Usage of ethnic instruments and flute can also be perceived in the track “Desert of Soul”. Both vocals, Serena and Elisabetta are just sensational with their voice. The combination of Serena’s harsh spooky black metal vocal together with the aesthetic histrionic voice of Elisabetta, generates breathtaking aura. Serena’s demonic vocal conjures the most of the part of this memorable album, whereas it is a pity that Elisabetta’s extraterrestrial voice appears mostly on the background. The band has not revealed the lyrics, but checking the titles of the track and the concept (which is about a man making a journey to the abyss and then re-emerging through initiating the principles of the left hand path) of the entire album, it can be assumed that some occult, dark and mythological aspects are included here wisely. The track “Alcyone” is an example, which is probably somehow related to the Hellenic myth. Riti Occulti directs their musical path in a different and at the same time in an appealing way. Self titled full length, in a nutshell, deserves much admiration. Nordavind Records from Portugal has really done a brilliant job by re-issuing this misprized craft.